The refreshed Fiat Punto range has been given a cosmetic tweak or two and a couple of new engines. 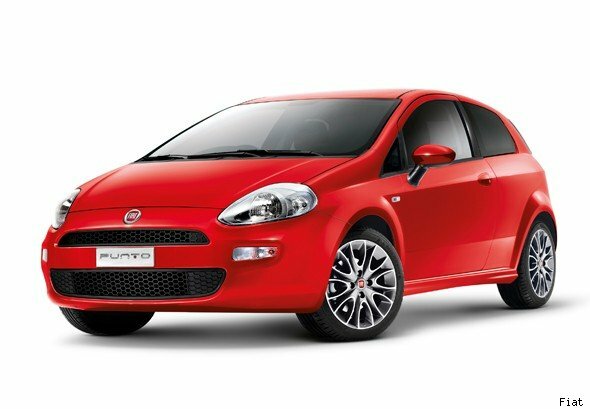 The range starts at £9,990 for a 1.2-litre Punto Pop. However, the lowest spec model does without the likes of air con. Fine if you live somewhere chilly all the time, but it might prove a little problematic when the summer comes. A top-spec 1.3-lite MultiJet Lounge Punto will set you back £15,600, though for your money you seem to get most of the toys in the Fiat parts bin. Two new engines join the Punto line up – an 85bhp MultiJet diesel and the award winning 0.9-litre 85bhp two cylinder MultiAir petrol engine. Fiat has simplified the trim levels to three: Pop (base), Easy and Lounge (high). That said, Fiat's also introduced a GBT spec to sit between Easy and Lounge. GBT adds sport suspension, rear spoiler and side skirts. Cosmetically the Punto now gets colour coded bumpers outside while the inside gets an updated dashboard and new seat fabrics. Want one? The new Punto is on sale now.